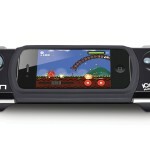 The ION iCade Mobile is a wireless bluetooth gaming controller for certain games available on the Apple App Store. 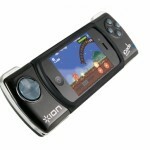 It allows you to turn your iPhone or iPod touch into a sort of PSP-like device. 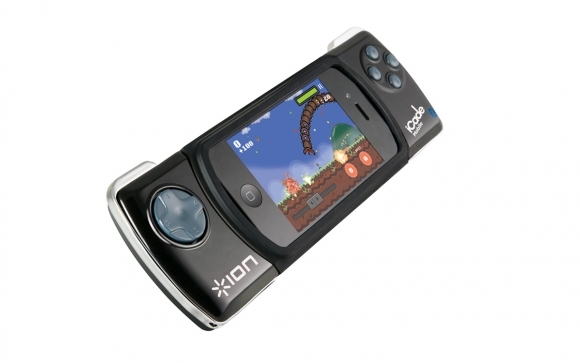 The iCade mobile is available direct from iCade for $49.99. While the form of this product isn’t nearly as important as the Function of the product, it still needs to be covered because who wants something thats cheap plastic? Or looks like it’s a piece of junk? This product, in terms of aesthetics definitely isn’t that. The iCade Mobile is sturdy and looks as though it will not shatter if dropped. It consists of two parts. The controller and an insert if you use an iPod touch. If you don’t have an iPod touch, just take the insert out and you can use it with your iPhone 4/4S. The controller is made out of a chrome material, hard plastic (not cheap plastic) and rubber. The buttons and front of the controller are chrome, the spot to put your iPod touch or iPhone is a soft rubber that while won’t scratch your device, will protect it while it’s in the controller. The backing is a hard plastic that I feel fairly certain will hold up if dropped, I think it could take a lot. The device actually looks pretty nice aesthetically. The chrome gives it an interesting look, almost like the PSP itself, which as you know, with it’s sleek chrome is a very nice looking product. The controller is black with silver only and it may only be one color combination but trust me, it looks very nice. The abilities of this controller are far more important than how it looks. The controller connects via bluetooth very well and I have had no problems with it disconnecting on me which is great, I don’t want to lose a game I’m playing! The controller truly transforms your device into a PSP-like device. It has four buttons on the right that resemble the X-Square-Circle-Triangle pad on the PSP. Also on the right is a D-Pad that resembles the D-Pad on the XBox controllers. It has L1-L2, R1-R2 like buttons on the top as well. These buttons are easy to press, easy to use and they aren’t stiff. At first I thought the way the device is made is a bit awkward to use but after further use, I learned to get used to it and I actually like it’s profile because it fits in almost any bag or traveling case or whatever. It is easily stored. The containment that holds your device can flip from landscape to portrait should any of the games you play require it. The device actually reminds me of a case and I wish the containment that holds the device came off so I could do such a thing. It really seems like it would do a good job at protecting your device and it really isn’t all that thick either. I also appreciate the fact that they made it an iPhone and iPod touch accessory. It is important that they made it for both. The insert that goes into the holder can get lost though, which is my concern for such a thing, however most people will use it for one device anyways. There are a few things that I am not a fan of though. Despite the many good physical things with it, there is a severe issue with the device in terms of when I can actually use it. Currently, the Apple App Store has a total of about 130,000 games available on the App Store. This controller can work with 139 games (some of which have multiple classic games on them). That is .001 of all the games of on the App Store. Also, even then, I’ve only heard of a few select games such as Temple Run, Frogger, Nyan Cat, Namco, Midway Arcade Collection and Final Run. For this product to be successful, they truly need to work on getting more games to support it and not only more games but better quality games, ones that are much more successful. The apps they have are limited in number and limited in popularity and that, I think, is hurting this product and preventing it from being much more popular than it could potentially be. Truly the only thing that needs help is not the product itself (maybe the controller could be less awkward to hold) but the amount of apps that support it. This controller is a true example of something that shows true potential. The controller itself is a great product, something that makes you think, I should have thought of that! It has all that you would think that a device like it would have. Unfortunately, the thing that needs serious improvement also is the most important thing, it’s support for a large base of games which it does not have. The potential in this device is huge and it makes you see how much you miss not using the touch screen. However, a great product/service is different than great potential. The product has only been on shelves for a year now and is destined to take off with a lot of games. In order for it to be truly successful, their roster of games needs to improve. 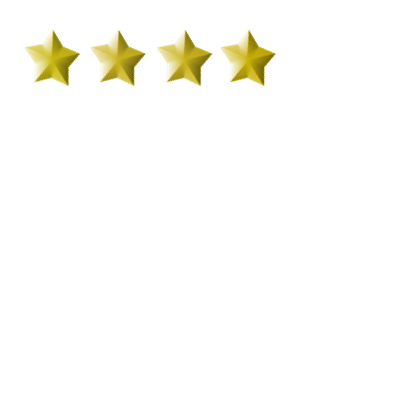 Until then, the ION iCade receives a 4 star review from me. As the roster improves and more games are added, I absolutely will update that rating. 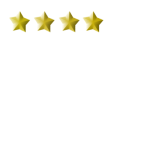 However, as of right now, 4 stars feels right. It’s a great working product with great potential that just isn’t there yet. I feel, though, it can and will be.